Happy July edition of #LetsLunch!! This month's theme for my LetsLunch group is grilled foods. I was a little bummed when we first chose this, because in our move we had to leave our giant grill behind during the move last month. But, as my LetsLunch friends pointed out on Twitter, it just meant that much more of a creative challenge. So, I broke out my cast iron grill pan and went to work in my new smallish, DC kitchen. 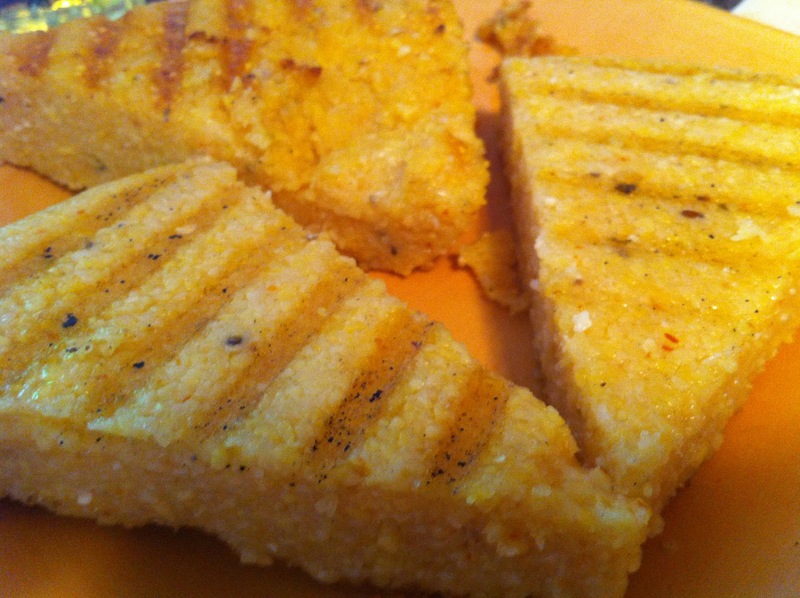 First, I made some polenta and chilled it for a few hours. I grilled the pieces on both sides, using my other cast iron as a weight. 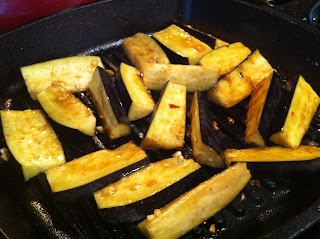 I whisked together a quick garlicky honey-miso glaze and grilled spears of eggplant and zucchini squash in batches, soaking them in the glaze before throwing them in the pan. 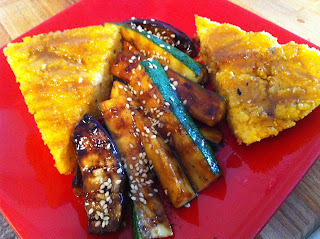 Use the left over glaze to brush the polenta and sprinkle the veggies with toasted sesame seeds just before serving. LetsLunch is a monthly "meeting" of food bloggers from around the world. 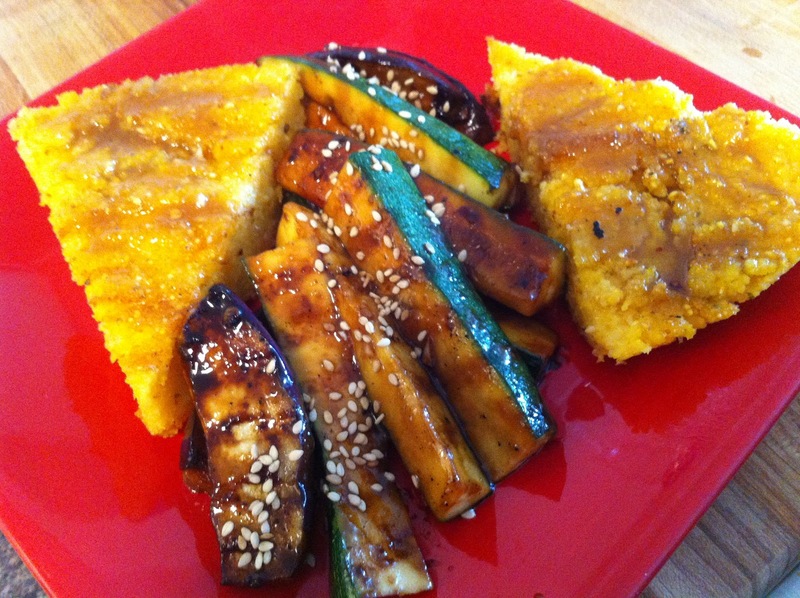 We select a theme and each blog our lunch on the first Friday of every month. Interested in joining? Just search #letslunch on Twitter and send us a tweet introducing yourself! Melt butter (if using) in a medium saucepan, otherwise bring the water and olive oil to a boil. Lower heat slightly and add the bouillon (if using), a generous pinch of salt and the chile flakes, then pour in the cornmeal while whisking continuously. Continue stirring the polenta, adding more water a few tablespoons at a time as the mixture gets too thick. Cook 15-20 minutes until the polenta tastes cooked. Pour into a cake pan or pie plate and chill for a couple hours. Slice into 8 wedges. 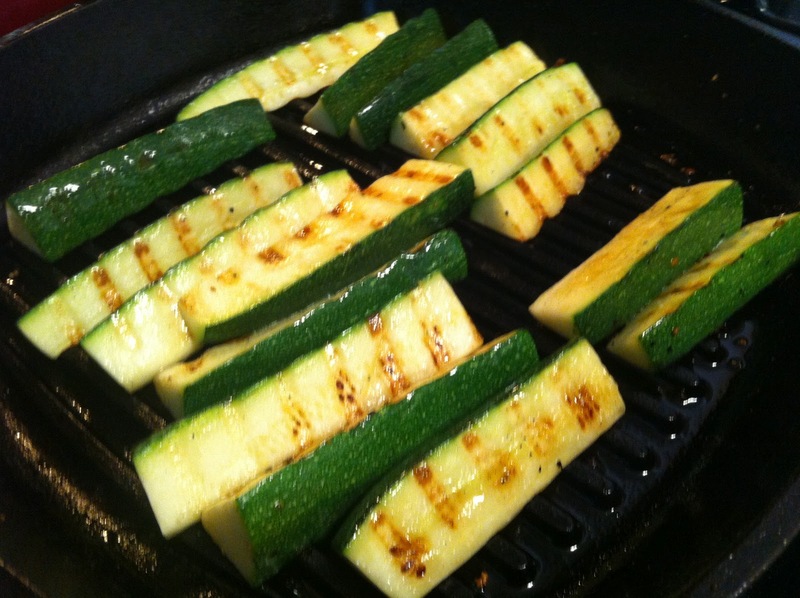 Brush a cast iron grill pan with oil and heat over medium high heat. Grill polenta wedges 2-4 at a time, using a second pan to weigh them down. After five to seven minutes, flip the polenta and grill the other side. 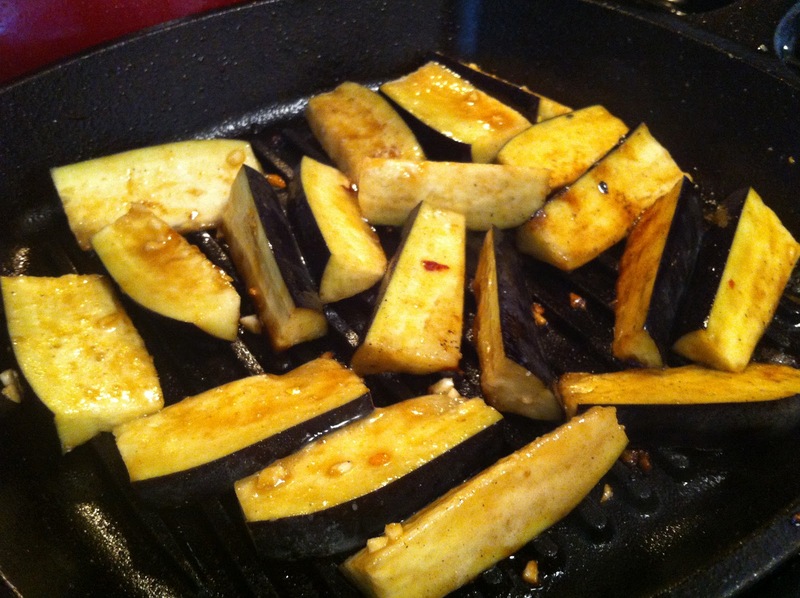 Whisk ingredients together, brush on zucchini and eggplant spears before and after grilling. Brush onto polenta just before serving. What an elegant version of barbecue! I wish I had this to eat right now.